A textured oil on canvas, with image wrapped around edge. 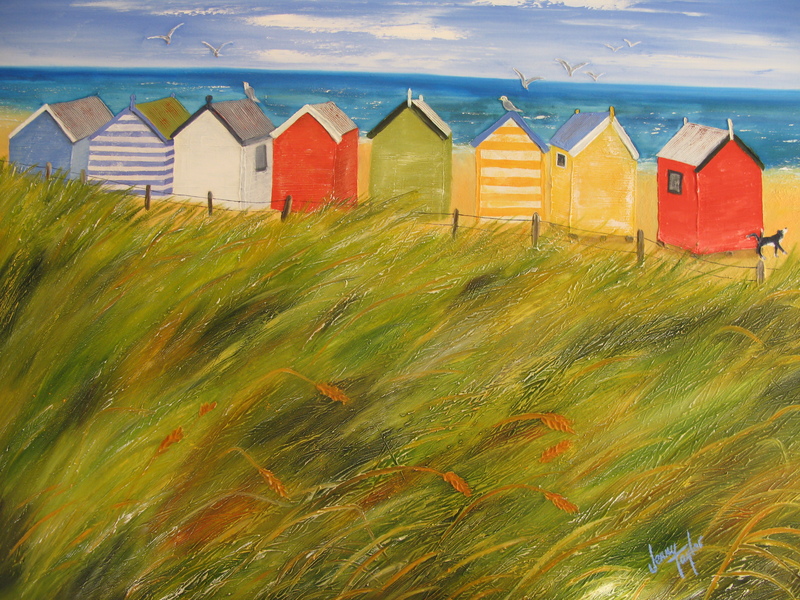 Depicts childhood memories of beach huts on the edge of the beach. Couldn't help but add the dog cocking his leg just for humour.